Some of former First Lady Nancy Reagan's jewelry is about to go up for auction. Christie's will offer several items from her private collection next month including gold and diamond pendants and necklaces. 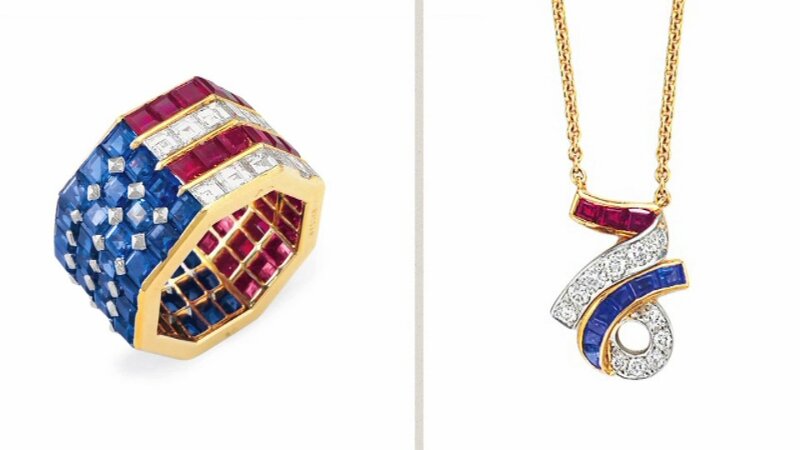 A Bulgari diamond, sapphire and ruby American flag ring that the first lady wore on July 4, 1986 at an event for the restoration of the Statue of Liberty. The auction will also include some of her husband's items containing the presidential seal, including a pair of his cowboy boots. The auction will take place in September. For more information, visit www.christies.com.